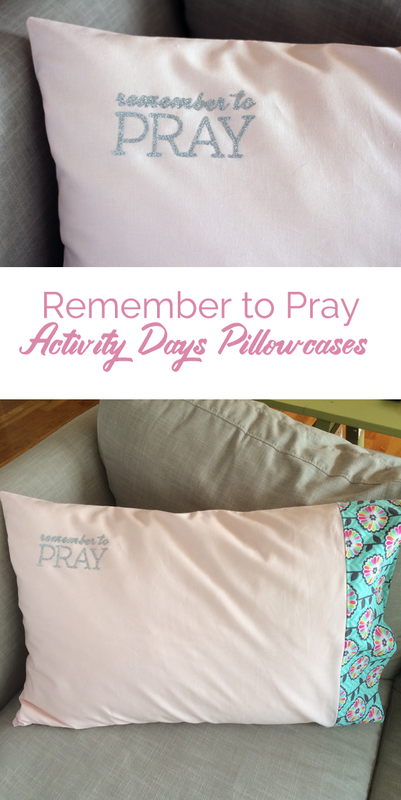 One of my first activities for the Activity Day girls was making these fun Remember to Pray pillowcases. 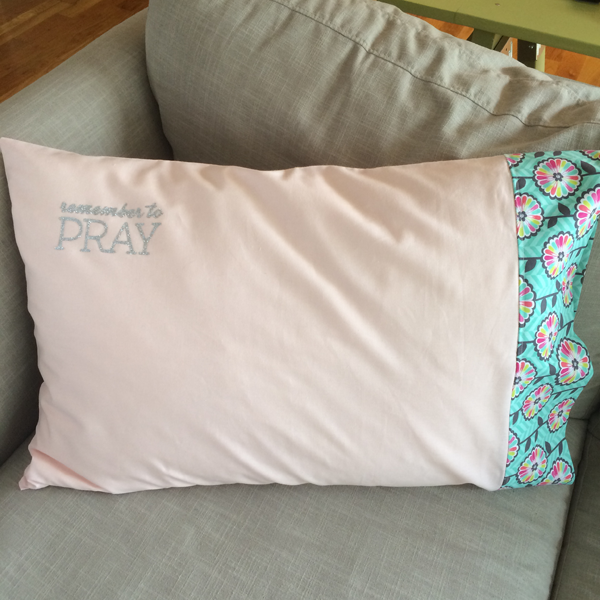 I wanted to create something to help them remember to say their prayers everyday, since it is a requirement in their Faith In God books and I settled on a pillowcase. I used THIS tutorial for measurements and instructions, super simple. I purchased my fabric at JoAnn with coupons, of course, and decided on a cheaper solid color for the larger cut and then a cute print for the edge. This kept the cost down. The girls LOVED this basic sewing project. I had some other sisters from the ward come to help the girls sew them, we had about 2-3 girls per machine which was fine since the project was super simple. I cut all the fabric before the activity which helped with time. 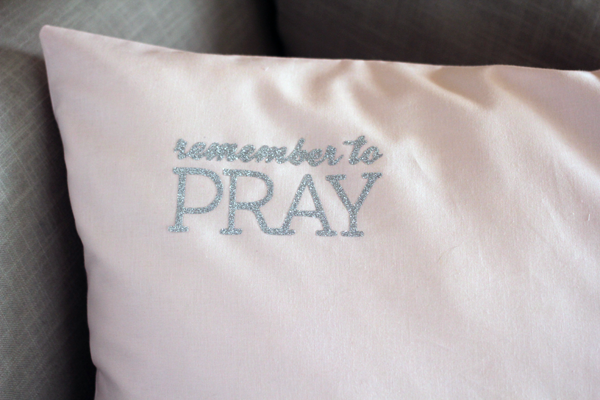 To make the iron on "remember to pray" I used my Cricut Explore™ which is awesome and Cricut glitter iron on vinyl. I designed the image and you can download the SVG file for cutting HERE. Need to save for later or share with a friend? Pin the Image below! This is wonderful. Thanks for sharing this idea and your cut file. We will be doing this with our AD girls next month.